Religious TV Channel / Vatican Radio is the official broadcasting service of the Vatican. Set up in 1931 by Guglielmo Marconi, today its programs are offered in 47 languages, and are sent out on short wave (also DRM), medium wave, FM, satellite and the Internet. 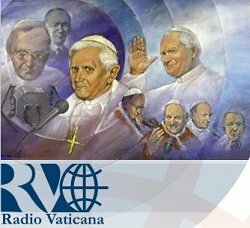 Since its inception, Vatican Radio has been maintained by the Jesuit Order. Vatican Radio preserved its independence during the rise of Fascist Italy and Nazi Germany. Following the outbreak of World War II, a week after Pope Pius XII ordered the programming, Vatican Radio broadcast the news that Poles and Jews were being rounded up and forced into ghettos. Today, programming is produced by over two hundred journalists located in 61 different countries. Vatican Radio produces more than 42,000 hours of simultaneous broadcasting covering international news, religious celebrations, in-depth programs, and music.